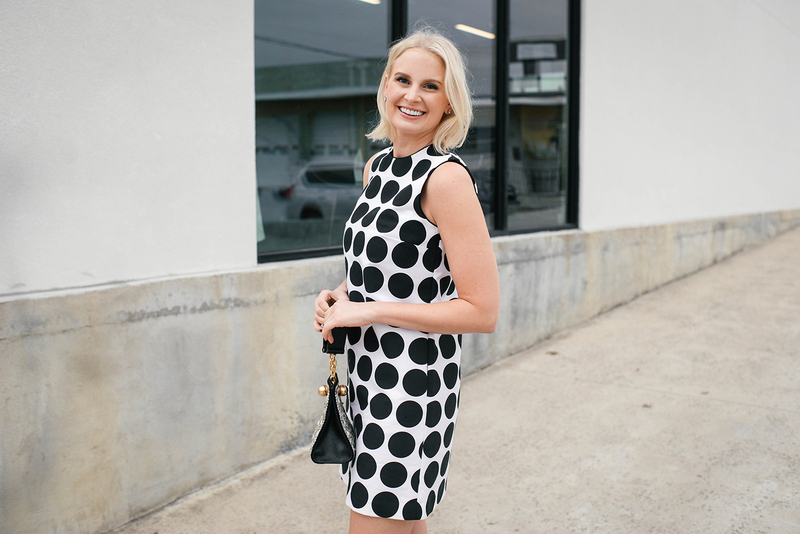 I’ve touched on my love for the polka dot print trend a few times this year, but that feeling heightened when I found this dress at Barney’s earlier this fall! I thought about including this dress in my Holiday Party Outfit Guide, but decided this piece is more of a year-round staple than a seasonal favorite. The shift silhouette is a classic, seasonless style you can wear to work, church, date night dinners, and everything in between. Dress it down with cute flats or sneakers for travel, throw on a cardigan or layer collared shirt underneath for a preppier vibe, or top it off with a leather jacket for some edge. SO many options! For winter, try pairing it with tights and pumps, as well as a fur (or faux) jacket! The color scheme is clearly very versatile too. Make this look pop during the holidays with a red lip! The very best part about this dress is the fact that it is currently 40% off – such a great discount!! Cyber Week may be over, but some of the big designer sales continue this week! Shop more other darling dresses by Lisa Perry below – so many fab polka dot finds… a bunch of which are also on sale! 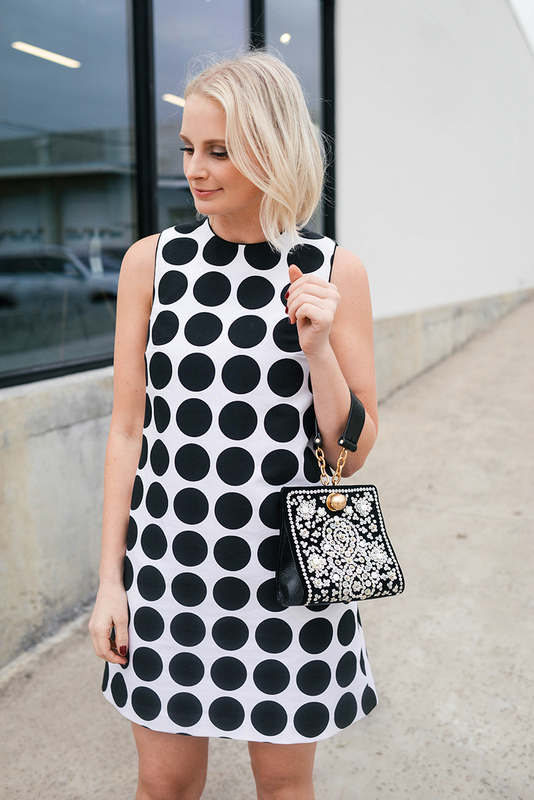 This polka dot dress is the cutest! LOVE how you styled this! So perfect!